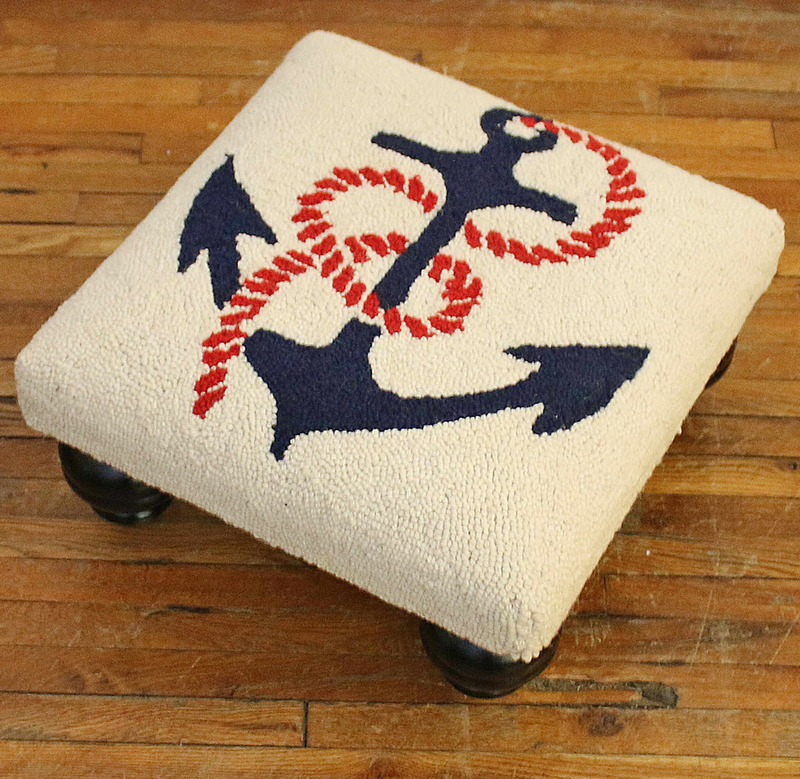 Create a nautical look in your living room with the navy anchor with a red rope knotted and looped around it on the Anchors Away Hooked Wool Footstool. Ships from the manufacturer. Allow 1 week. Cannot express ship this beach style furniture. For even more options, we ask you to take the time to explore our whole variety of coastal style ottomans at Bella Coastal Decor now.